George Dvorsky / Photos: Dineleys. 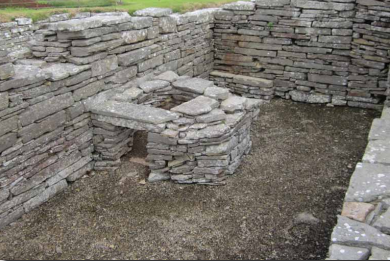 For years, archaeologists studying Viking remnants and artifacts in Britain had assumed that certain stone structures were bathhouses, or a kind of primitive sauna. But a husband-and-wife team has now thrown this thinking into question by suggesting that they weren't bathhouses at all — that they were brewhouses where the Vikings made their beer. Archaeologists know that Vikings loved their ale; the Sagas contain a slew of references. And in the 10th century, Haakon Haroldson, the first Christian king of Norway, decreed that Yule be celebrated on Christmas day and that "every farmstead should brew two meals of malt into ale." In fact, brewing ale was so important that there were fines for non-compliance; failure to brew beer for three years in a row could result in the forfeiture of a farm. It's also known that the Vikings used malt to make their ale, and that it was stored in huge vats close to the drinking hall. But as archaeologists Merryn and Graham Dineley recently pointed out, archaeologists have conveniently ignored where the Vikings actually brewed it. Since huge ale vats are not easily moved, the ale must have been mashed and fermented close to the ale store. That's where the supposed "bath houses" come in — and that's where, according to the Dineleys, the beer was brewed. And they'd be the team to know. Merryn is an archaeologist specializing in exploring ancient ale-making, and Graham is a craft brewer specializing in making ancient ales. 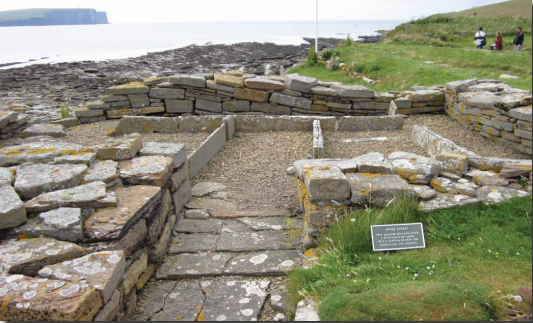 The Dineleys recently examined a stone-built installation at Cubbie Roo's Castle, on the island of Wyre, Orkney — a Viking stronghold of the 12th century AD. The Dineleys theorize that the structure would have made for an excellent mash oven, with the cauldron sitting above the fire. And in fact, they say it's the best example of a Viking brew house in Britain. They room is well equipped with substantial drains, it has a stone shelf for the storage vats, and a drain beneath. Moreover, it's located right beside the drinking hall. The Dineleys made their research known at the Experimental Archaeology Conference, and you can check out their poster here (pdf).